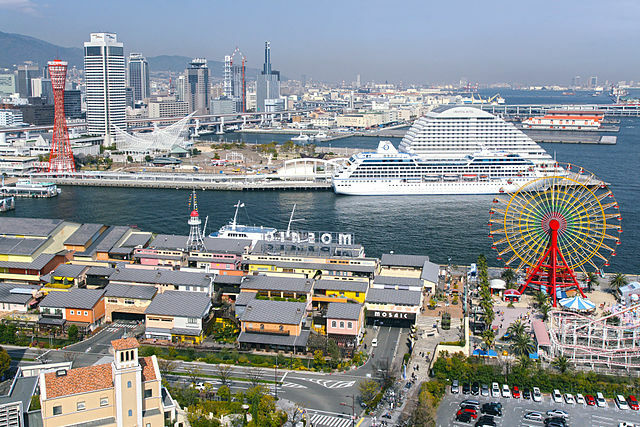 ​A port in what would become Kobe was established in 1868, during the time when Japan was opening to foreign trade. Kobe was among the first to start serving foreign ships alongside the ports of Niigata, Yokohama, Nagasaki and Hakodate. 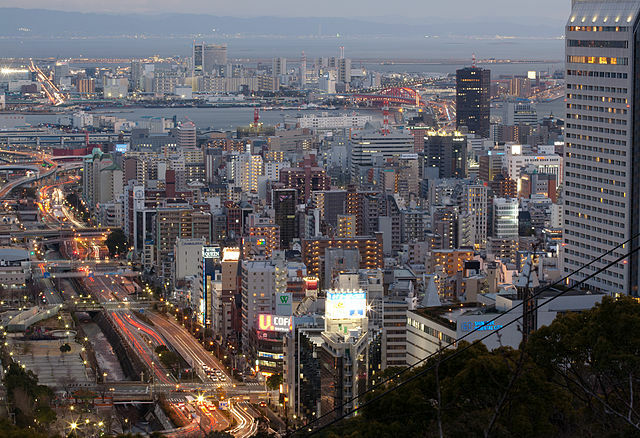 Presently with a population around 1.5 million, Kobe is the sixth-largest city in Japan and is the capital city of Hyogo Prefecture. A cosmopolitan port city with an international flavor, hemmed in by Mt. Rokko, it constantly comes up number one in expatriate rankings of the best place to live in Japan. 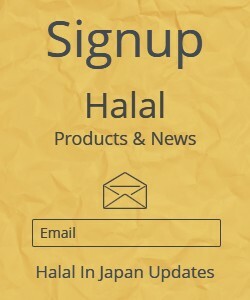 Today, a mosque "Japan’s first", a Sikh temple "also Japan's first", a Chinatown, and European architecture mark Kobe as a place where foreigners and foreign culture first arrived in Japan. Kobe is thin in the North-South direction, but long in the West-East direction. Since much of it is built on a hill, a reasonable itinerary is to take the bus up the hill, and walk down. If you get lost, find the mountains or the harbor. The mountains are in the north, and the harbor in the south. ​The city’s core and central business district surrounds Sannomiya Station, rather than Kobe Station. Sannomiya Station has a Tourist Information Office well-stocked with area maps. Be sure to ask for the coupon book, which offers special discounts for many attractions. Kobe has a comprehensive city bus system, which is often your best choice when travelling to areas located north of the city, away from the predominately east-west running train and subway lines. Schedules and boarding locations can be obtained from the Tourist Information Office below JR and Hankyu Sannomiya Stations. 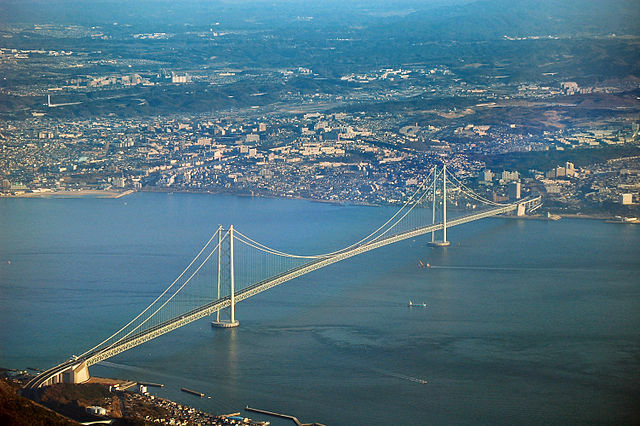 The city also operates a Loop-Line Tourist Bus that travels around scenic spots and famous tourist locations in Kobe. 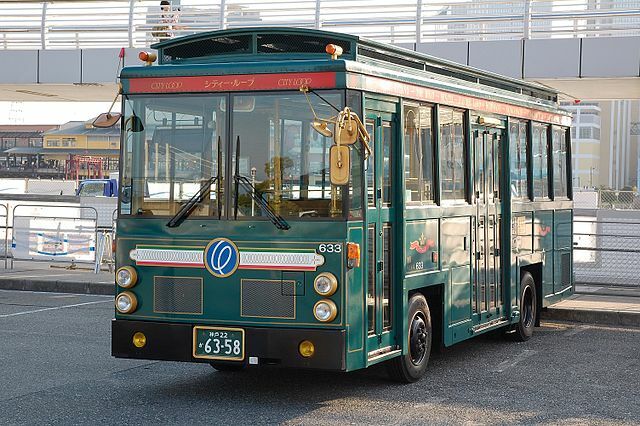 These distinctive old-fashioned green buses can be boarded at 15 stops between the Shin-Kobe area and Harbor Land and cost 260 yen for a single loop or 660 yen "for adults" for a day pass. Boarding locations are indicated by green and red signs on the side of the road. Buses run at 15-20 minute intervals and one loop takes approximately 70 minutes. If you are planning to travel beyond city limits you might want to consider using the tickets from Surutto Kansai. The Hankyu Railway, Hanshin Railway and JR Lines cross Kobe in a west-east direction, and provide the cheapest and fastest way to travel across town. 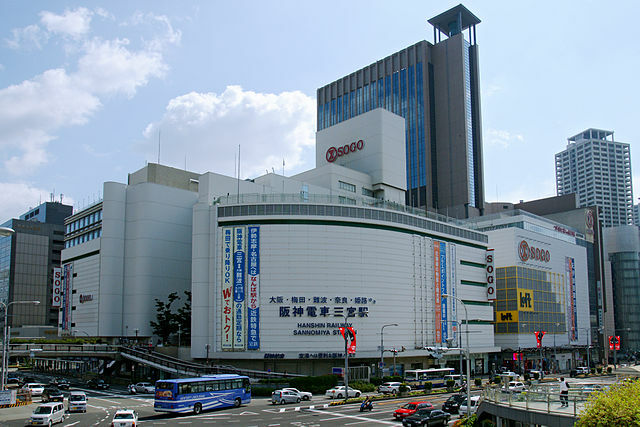 Each of these three lines has its own station located around the busy central Sannomiya shopping district and each provides access to different points of interest. For visitors with a Japan Rail Pass, JR will be of the most use. Special Rapid trains "Shin-kaisoku" stop at both Sannomiya and Kobe Stations and provide the best way to travel west towards Akashi and Himeji or east towards Kyoto and Osaka. ​Boarding a Local Train from either Sannomiya or Kobe Stations will allow you easy access to Motomachi "for Nankin-machi and Meriken-park" Nada "for the sake brewing district and museums" Rokkomichi "for buses to Mt. Rokko" and Sumiyoshi "for the Rokko Liner to Rokko Island". Kobe has two Subway Lines. The Kaigan Line runs along the coast, and the Yamate-Seishin Line runs toward the mountains. 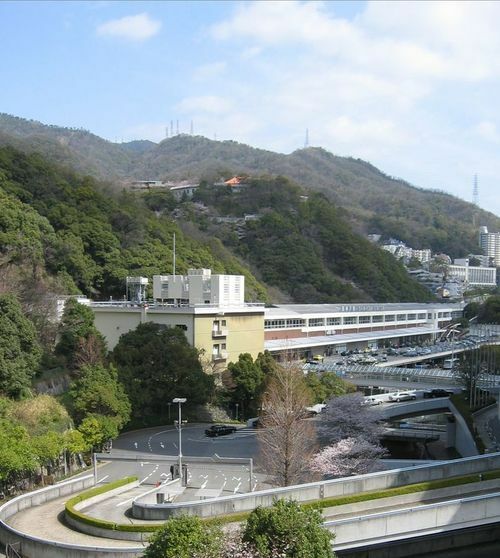 Both are more expensive than ordinary trains and unlikely to be of used for the traveler, except when connecting to Shin-Kobe, the station located north of the city where the Sanyo Shinkansen stops. If you want to explore Kobe, there is a One-Day-Pass for Subway plus Bus for 1030 yen "adults"- 500 yen "children". The automated Port Liner links Sannomiya to the reclaimed port district south of the city, and continues over the Kobe Sky Bridge to Kobe Airport. Likewise, the Rokko Liner links the Rokko Island area to JR Sumiyoshi Station. 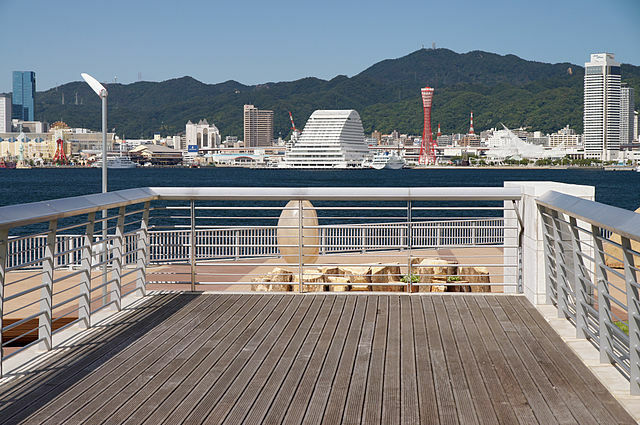 There are different choices for Accessing Kobe City.